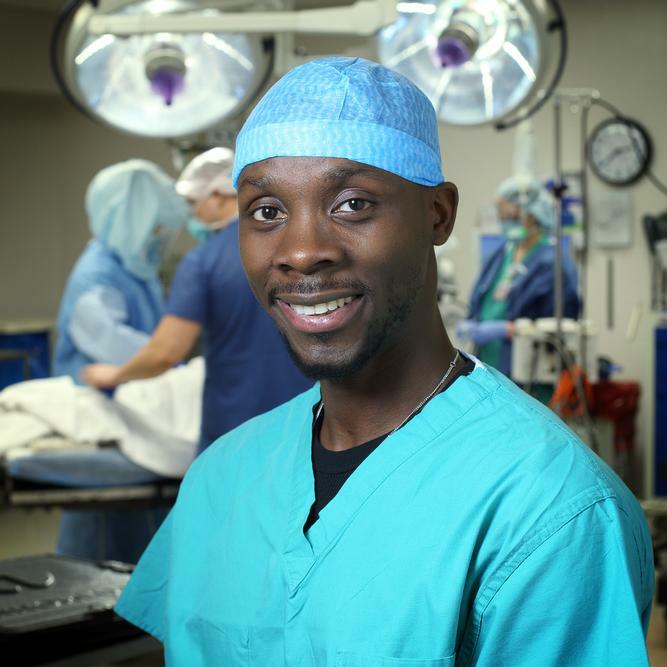 Elevating the success of knee replacements so that the knee becomes the patient’s “forgotten joint” is the goal of Julius Oni, assistant professor of orthopaedic surgery at Johns Hopkins. Oni’s clinical practice focuses on innovative ways to improve patient outcomes after hip and knee replacement surgeries. For example, Oni performs total knee replacement using incisions that are approximately half the length of the traditional total knee incision. “The classic, traditional total knee replacement incision is 8 to 12 inches long. In contrast, by using the small-incision technique, my incisions are between 4 and 6 inches,” says Oni. Positioning the knee in extension during a significant portion of the surgery allows Oni to use a small incision and keep the soft tissue relaxed. Oni avoids prolonged subluxation of the tibia over the femur and minimizes the amount of subluxation of the patella. Besides the aesthetic advantages for patients who want to avoid the typical long anterior incision, Oni finds that this technique can potentially shorten recovery time, reduce the risk of severe pain from the stretch of the soft tissue, and reduce the risk of severe swelling. 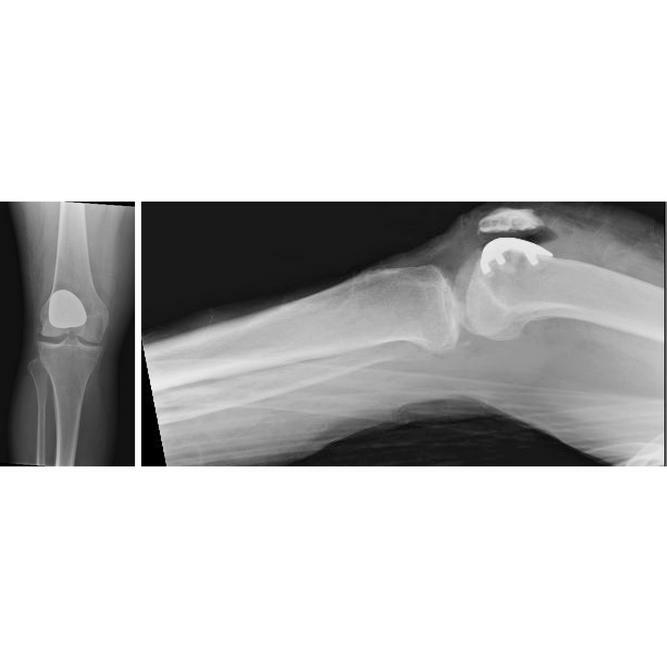 Anteroposterior and lateral x-rays show a 55-year-old patient who underwent patellofemoral arthroplasty for isolated patellofemoral arthritis. By retaining all the ligaments and healthy compartments, Oni finds that a partial knee replacement can feel much more like a normal knee than a total knee replacement. “Patients recover a lot faster, and the complication profile is a lot better. There is less risk of infection, deep venous thrombosis, cardiopulmonary complication and blood loss,” says Oni. Although patients report high satisfaction after knee replacement, some are not entirely pain-free. “There is still a lot of opportunity to improve the execution of knee replacement,” says Oni.